Maarja Nuut is a remarkable woman. Already widely celebrated in folk and world music circles for her records, and a spellbinding performer to boot, this Estonian singer and violinist's singular vision draws from the ancient modal sounds of Estonian “village style” folk; something which, in turn, is shaped by her (seemingly never-ending) experiments with live looping. Nuut's third release, the mesmerising Muunduja ('Shifter') - out in October on Fat Cat subsidiary 130701 - sees her dive further into a netherworld of future-past visions, loops and general electronic wizardry, alongside her new creative partner, Hendrik Kaljujärv. Despite her restlessness and determination (and the fact she seems driven by her own inner world, often, it seems, to the point of distraction), Nuut has a warm and funny nature and a sharp wit. DiS spent the best part of two years chatting to, mailing, or drinking with Nuut; all with the intention of conducting an interview. As with all best-laid plans, things went awry, or got shelved for a future date. Or (shamefully) forgotten in the fug of the morning’s hangover. Until now. It’s fair to say the new LP had a difficult birthing process, born in part through wild ambition and shifting circumstance. Around the time of the release of her last LP, Une Meeles (‘In The Hold Of A Dream’) Nuut began working live with Hendrik Kaljujärv. This collaboration - first seen by this writer at 2016’s Le Guess Who festival - tentatively took hold of Nuut’s imagination, convincing her that the ocean of sounds at Kaljujärv’s disposal could be successfully translated onto tape. Somehow the idea of making a drastically different record than the intimate Une Meeles began to form. Schemes were schemed and slowly over the course of nearly 18 months an album, initially recorded with Howie B in Tallinn, was made. After an initial period, a hiatus occurred until creative juices were restored and ready for a lengthy bout of tinkering, processing and re-recording done by the duo and Evar Anvelt. It seemed apposite to first ask Maarja why things seemed to take so long. Did Maarja metaphorically drown in sound? Maarja Nuut: If I said, “I’m ready in 17 months” you’d never interview me. I’m a whole bunch of things yes. As we all are. But creatively, it’s actually about balancing being “in it for the long run” versus being really in the “here and now”. It’s my constant challenge. I don’t believe in analysing the artistic outcome before it’s actually created. So there are times when I say to myself, “just do it”; at the same trying to be perfect(!). And the process of searching for the right sound or texture can make you unsure and impatient, there are times when you feel like a chicken without a head; with no articulated vision or direction. But if you are courageous that situation can offer a lot of simple fun, just the fun of experimenting with new unknown tools. Personally, I don’t keep that process too private. As soon as something feels OK and justified, I go out on stage with it. It often happens that only a day later I’m absolutely mortified... but that means I’ve moved forward and it might be that after doing so for a period of time I wake up one morning and suddenly am able to clearly articulate a little part of something (bigger?). Then I’m energised and I can start working towards a goal. I focus, and everything around me becomes muted and abstract the clearer my gaze is. Then I slowly I start peering out towards the world again and feel responsive to new impulses. I start questioning myself again and so a new cycle begins.. The recording process on your new LP, ‘Muunduja’ (Shifter) took ages and ages, why was that? Trying to find some lost chord? We were a little disorganised in trying to find that elusive chord and hoping that Howie B, our recording producer, could save us, but no... He did save us in a way. In that, we were pushed out of our comfort zones and we ended up experimenting quite a bit in the studio. But somebody had to clean up that mess later on and the way things turned out, it couldn’t really be him. Some processes took ages and the material was just standing there alone for months. I think that was good, actually, in retrospect. Because after a while we found a person who took the recordings and blew a new life into them, in a way that triggered us to articulate better what we were after. So there were bits we re-recorded or rearranged and I personally feel good about how it all came together in the end. I see you’ve described this record to me in a mail as a sonic maze, or a labyrinth (of sound). What do you mean by that? It’s your description now, Richard. But to answer your question - life’s a labyrinth and music is my life. You describing this process makes me think you are obsessed by the “world of sound” as a thing in itself? In order to create a sound you first need to imagine it. And I think you can’t imagine a sound you’ve never heard (well, you can I suppose, but then it’s still based on your previous experiences). And it’s my choice to express certain things through sound. When working with what you can call “musical expressions”, there’s always an idea or intention behind them. But while I aim to create an appearance of an emotion through music, it’s often connected with a visual landscape or even a physical feeling. That is all very personal and therefore I never try to force my own idea or vision on others, as it’s a waste of a chance. It makes me happy when I’m able to create a situation when people feel comfortable sitting at my concert and can explore their own inner landscapes. Were there things that you needed to say that need sound to express them? You mean, have I experienced something only through music and therefore can’t imagine any other way of revealing it? Yes. Let’s talk about your partner in crime on this new record, Hendrik Kaljujärv (one of the Estonian electro wizards, Cubus Larvik). What's Hendrik like to work with? He seems a grounded lad, but also - like many Estonians I know - someone with an emotional hinterland that is kept well in the background. I’m glad that we seem to understand each other when deciding over creative issues, not only in music but also around all the stuff that comes with it. However, we aren’t so good in explaining that “hidden in the hinterland stuff” to others yet. And that might make it hard for some people to work with us. It’s quite often a case of either not saying anything much (expecting the other person to understand it anyway) or then just pouring everything out too bluntly. Pour out bluntly to me what you both like about the new LP? We haven’t spoken about it. Your question almost implies as if we should! I can still (at the time I’m mailing you, about a month before the release) relate to this LP. It must be a sign of becoming more mature(?!?) Or maybe a reflection of making the right choices, I don’t know. This time I feel I got closer to the imagination I had, as in the past I simply didn’t have much knowledge of using the tools to create the sound that I was after. ‘Süües kasvab isu’ is what we Estonians say. Look it up. Oh, and I sincerely admire what Evar (our mixing guy) did with our record. I must ask you about the artwork around this new album. It looks like a visual take on punching through perceptions. It reminded me of that horror film Sauna too, where the demon has no face. Or Joy Division lyrics for some reason. The interzone… Touching from a distance… How does the imagery link to the LP in your opinion? Punching through perceptions is one part but not the only one. I guess luring people is more of my strength. This LP is about a collaboration and it was quite a bit of a challenge for Luis (our artwork master) to visualise all those different layers we were after and wanted to be present somehow. What did you learn from making the new LP? To take risks and not give up before it feels right. Your new tracks with Hendrik are so different from your earlier stuff… Were you scared of getting pigeonholed with your “old” sound, or becoming the folk pin-up girl? Or isn't that the Estonian way? First of all, are the new tracks so different? I may be the folk pinup girl as long as I have the freedom to be everything else too.. and that is really about my own mindset. More seriously, I’m too busy with other stuff to worry about those things. Being a solo artist I have to manage a hell of a lot of administration and travelling, I’ve got a boyfriend and two cats and I need to sometimes stare at a wall in silence or observe the surroundings with full attention, then dream, digest and create. So, with the duo, I want to stretch my vocabulary. I guess I do not need to mention to you that it has nothing to do with trying to be different or non-folk. I’ve seen a few concert intros titled as “Maarja Nuut the preserver of tradition” (you know, “doing the right thing”) and then thinking, “OMG what’s the audience going to be like?!?”. There are people who carry on traditions because it’s been done in that way regardless for many years so it must be right. Ironically, that tradition was something that was only created in a specific moment of time, usually by someone charismatic and convincing. So convincing, that a few generations can easily make a living from it without questioning anything. But you must understand I’ve found a great amount of inspiration from roots music and people who created it. There’s a lot of cognitive knowledge that I believe is worth sharing. I prefer not to talk about those things too much, as it tends to easily fall into a sort of esoteric territory. And then it loses its true power. I carry on things that I believe in and have a personal connection with, only then can I be convincing. So, in the end, it’s about sincerity, isn’t it? Do you think the image of Maarja often matches the reality of Maarja? I mean, I saw you as a poster girl for Estonia in an in-flight magazine, demurely sleeping in a forest, fiddle by your side. But I know there’s another side to you; you once jumped on a stage to tell a crowd to shut up during a (classical!) gig. Me and Hendrik have had a pretty tough time finding our own sound and frankly, how to actually do it technically... some people think that there’s just this girl singing folk ballads and a guy on turntables. But the process of building up our setup technically has been and still is a bumpy and challenging process. Why? Try to have discussion about love with an AI. Acoustic violin vs a roaring Vermona synth, my 27-beat-long “limping loops” [sic] vs 0101 computer language. Try all that for size! But with the help of a programming guy from California, Hendrik’s mastermind in midi, and our sound technicians we’re nearly there - chasing the sound that only us can create, a perfect interzone. I’ve seen your soundchecks, they look like rehearsals for Aida or something… Full of tension and drama! Because it’s a matter of life and death! This question is as vague as saying “one likes folk or instrumental music”. As you might guess, I like repetitions and tripping around with loops. And my biggest passion (besides my boyfriend) is to dance to warm hypnotic rhythm layers that linger in between lighter and darker tones. My personal body bpm where I forget everything seems to be in between 126-131. So there is some techno that I really love, indeed. OK, mea culpa, tell me more about this “some techno” then! Names? Or is it just the experience, that you’ve just mentioned? There are DJs whose playing I enjoy a lot; but then it’s more about the experience. When I hear something really nice while in the middle of my dance ritual [sic] I almost never take out some app to search for the title of the piece so it’s a ‘here and now’ thing. But I do follow a few artists, for example Abdulla Rashim, Amandra, Marco Shuttle, Mod21 etc. And I like a number of records from the Semantica, Midgar Records label, with releases from Ruhig and Wata Igarashi for example. maarja nuut & ruum - 'Muutuja' from Maarja Nuut on Vimeo. I guess I’m rather nomadic on different levels. Firstly, I left home when 12 years old, started travelling with different music projects during summers in my early teens, and lived a bit in New Delhi and in Stockholm. It also seems to be a habit of mine to move to a new place every 3 to 4 years.. But I do love to have a base somewhere, even just to know there is a “my place”. About playing here and there; well, I have actually never played in Estonia as much as I do now, and that seems to be because some sort of recognition from outside has drawn people’s attention to my music. Quite a classical case, isn’t it? Well, I wasn’t really dying although for about twenty-four hours I was in such pain I didn’t think possible. Lingering in between layers (of pain) with no room for any thoughts. A new perspective. We never got to know. I was named as a 'Dr House' case. Usually it happens to the machines around me - inexplicable error. This time it was me myself. But while hospitalised I watched a woman dying. Over four days, from a distance of two metres in front of me. Her husband was begging the nurses to be there for a few minutes more, as the visits were limited to 20 minutes. I promised him to give her water, though I was sure I wouldn’t be doing it.. as I was actually afraid to approach her. The last two days... with that sound of constant death rattle and pain that could not be quietened anymore... And then came a silence. I called my boyfriend feeling relieved and distant at the same time. She had such a beautiful name, too. You also went to the Middle East on a project, tell me about that. The Middle East - the most controversial experience in my life. [Silence]. I had been dreaming about going to the desert since I was 10. It was as breathtaking as I thought - I’ve always been fascinated about how one can imagine a place or taste, smell or something very vividly for years before the real ‘experience’, only to discover that you already knew this place. I had the same thing when reading David Weiss’s novel about Auguste Rodin and Remarque at the age of 12 just before my first trip to Paris. And there was the city with some old corners just as I expected them to be. Or maybe I was just walking around with too much of my own personal interpretation… Anyway I remember feeling like the happiest little piece of dust in between those endless rocky mountains. Unfortunately, I had caught some weird virus a few days before when travelling around the Dead Sea and returning to Hebron to give a concert to local children. By the time we got to the desert Bedouin camp in the middle of nowhere my voice was nearly gone. But the concert later in the night became literally breathtaking due to the extreme weather conditions - all that intensive and harsh beauty around me that I so much wanted to express onstage but had to cancel the set after about 30 minutes with wind aggressively raging in my in-ear monitoring and no more voice coming out of my mouth. There was a baby camel on a metre-long leash taken away from his mother and weeping non-stop since we arrived. I felt a bit like this, handicapped. Can you imagine yourself doing anything else outside of music? Somehow I can imagine you at 97 or whatever being a witch in the Estonian wilds! One doesn’t have to live in the woods to be a witch. I can actually imagine myself doing quite a few things outside of music. And I have those occasional bursts of hosting people, offering coffee with the silkiest milk foam texture in town and hypnotising cakes. Muunduja is out on 5 October via 130701. 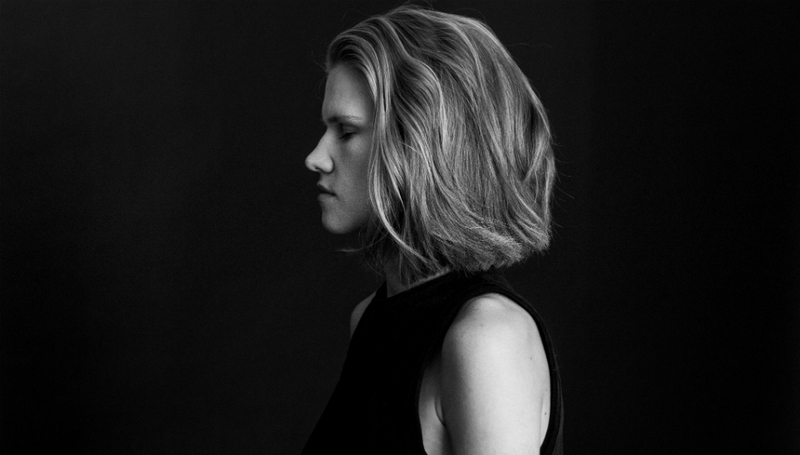 Maarja Nuut and Ruum are on tour from September until the end of the year throughout Europe. For more details, please click here.